It's bound to happen, the post-birthday hangover! From our new range of 'Hand of Higgy' greetings cards featuring Laura's handwriting on a lovely textured recycled card. 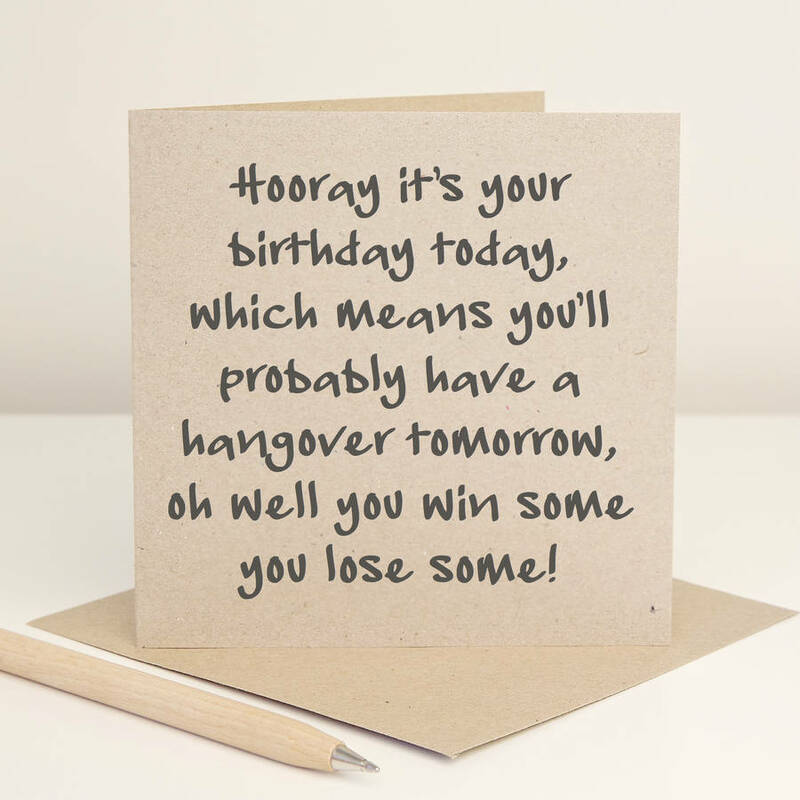 This square greetings card is the perfect way to wish a Happy Birthday to someone who likes a tipple! 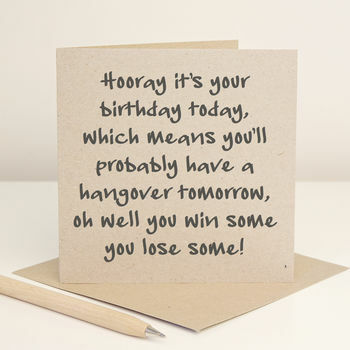 "Hooray it's your birthday today, which means you'll probably have a hangover tomorrow, oh well you win some you lose some!" All our cards are blank inside for your own message. This range of cards and their matching envelopes are made from 100% post consumer waste. The card is not dyed or bleached using any chlorine so shades may vary in each batch and may vary from the image shown. We think that it's worth it for doing our bit for the planet!